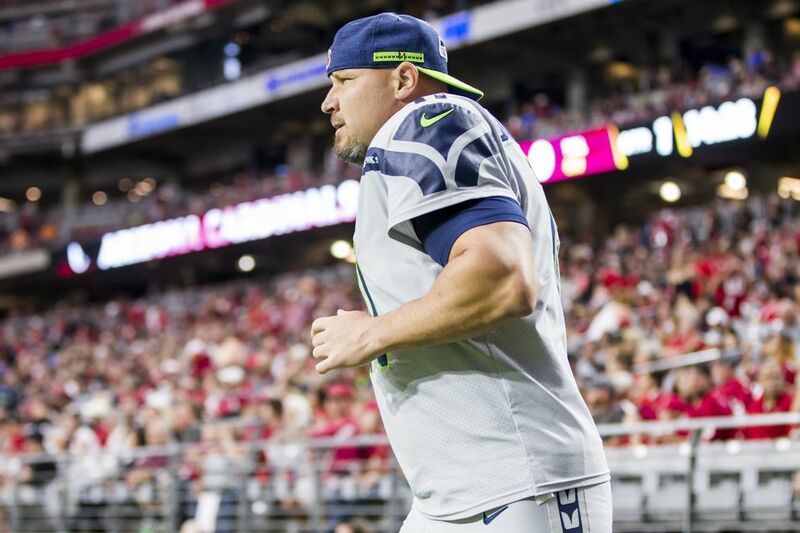 Twenty-two years after he decided on a whim to try to kick a football, 40-year-old Seahawks kicker Sebastian Janikowski is still sticking around. The pastor asked Sebastian Janikowski a question on his best friend’s wedding day. This story is about the answer. Before he led Brad Cejka and his groomsmen into the church for the ceremony, said pastor decided to cut the tension with some casual conversation. “Sebastian,” he said, facing the 260-pound bald groomsman stuffed into a suit. “Eighty-two yards in high school,” Janikowski responded, without a hint of hesitation. 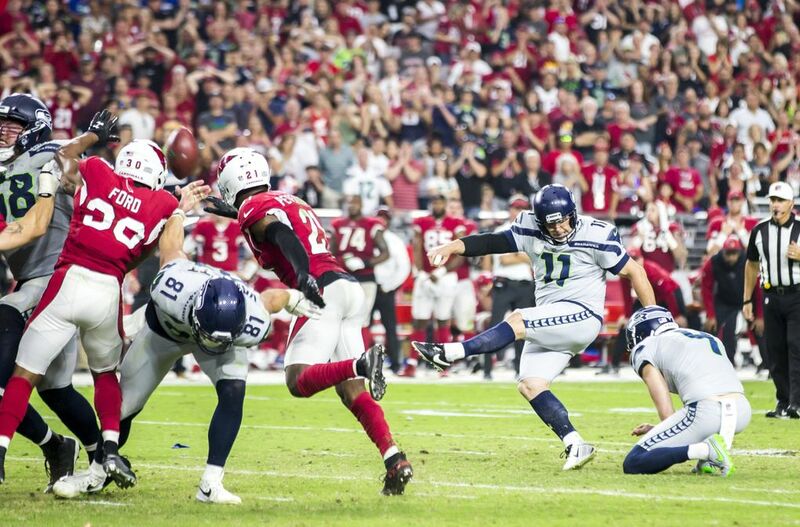 Keep in mind that the longest field goal in NFL history is, by comparison, a measly 64 yards. 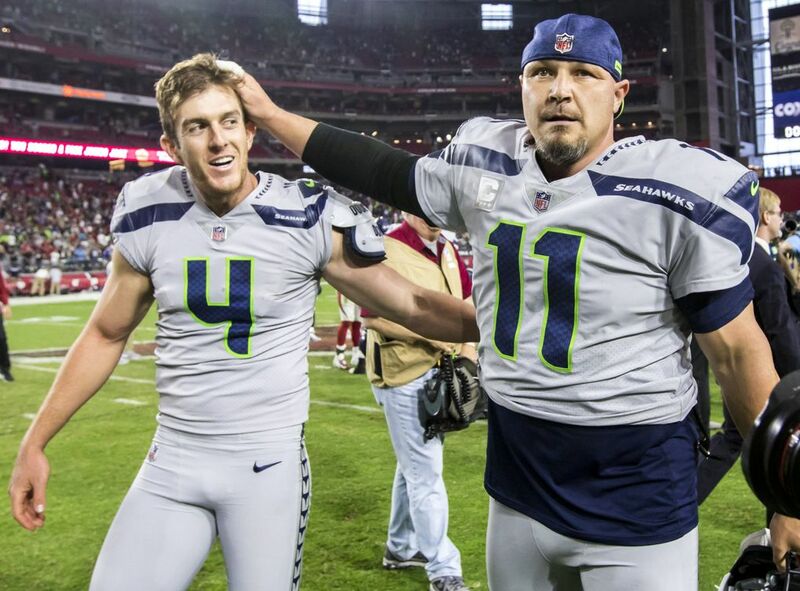 Surely Janikowski — who missed his first two field goals last weekend, then connected on a 40-yarder and a 52-yarder as time expired to lift the Seahawks over the Cardinals and possibly save his job — wouldn’t lie to a man of the cloth? “It absolutely happened,” said Cejka, Janikowski’s former teammate at Seabreeze High School in Daytona Beach, Fla.
Or, say, the first time he kicked a football. It was May 1995, and Janikowski — who had come to the United States from Poland the year before — was a junior at Seabreeze, when one of his friends on the soccer team convinced him to sample a different sport. So he showed up at a spring football practice, wearing jeans and sneakers, and asked the coach if he could try a couple kicks. “I said, ‘Sure,’ and he put a ball down,” Kramer said. “I know this is really cliché, but I’ve never — to this day — heard a ball sound the way it sounded. In his only football season at Seabreeze, Janikowski made it look easy — mostly. During his senior season in 1996, Janikowski routinely sent kickoffs through the big H on the opposite end of the field. He missed a 70-yard field goal wide during a game in the spitting rain … but the kick had plenty of distance. Unsurprisingly, Seabreeze’s sudden star attracted an unusual amount of attention. Kramer once got a call from a college coach — he declined to divulge the school — who promised that if Janikowski signed with his program, they’d put his high-school holder on scholarship, too. When he kicked, people came. They came from all over — and not just college recruiters. Unfortunately, Sebastian’s most improbable kick didn’t garner much of an audience. As the story goes, Janikowski was cranking field goals one day in practice, moving five yards back with each punishing wallop. 82? You already know the answer. Still, the fact remains, a 210-pound high-school senior and recently converted soccer player kicked an 82-yard field goal through the big H at the end of the field. In a single season at Seabreeze, “Seabass” was born. More specifically, it was 693 extra points and 485 field goals ago. Since leaving Seabreeze, Janikowski has become the first player to win the Lou Groza Award — which honors college football’s premier placekicker — twice. He helped Florida State secure a national championship in 1999, and the following spring became the only kicker in the last 18 years to be selected in the first round of the NFL draft. In 18 seasons with the Oakland Raiders, he became the franchise’s all-time leading scorer, with 1,799 points. He has gotten older, and he has grown up, and those are two very different things. “You’ve got your family. You’ve got your kids. You grow up a lot faster,” said Janikowski, who has a wife and three kids, not to mention a Polynesian symbol that means “family” tattooed across his shoulders. And so he has moved on, signing a one-year deal with Seattle this offseason. He is 40 years old — 18 years older than his holder, rookie punter Michael Dickson. He is also 50 pounds heavier than he was in high school, a spitting image of a cleanup hitter in a modestly competitive beer softball league. But even now, 22 years and 3,000 miles away from Seabreeze, he’s still aiming for the big H.
“He’s having a blast, I think,” Seahawks coach Pete Carroll said last week. “I mean, he’s really having fun. Janikowski had another of those last weekend. After a disastrous first half in which he missed both a 38- and 52-yard attempt, the 19th-year veteran rebounded, drilling a 40-yarder in the third quarter and the go-ahead 52-yard field goal as time expired. Somehow, Seabass — who Cejka eliminated from best-man consideration because “I knew he wouldn’t want to give a speech” — feels most comfortable under a sizzling spotlight, with an entire stadium holding its breath. Janikowski will welcome it again at home against the undefeated Rams on Sunday, and then in London against his former team — the Oakland Raiders — on Oct. 14. There’s no telling how many kicks his left leg has left. But while another 82-yarder might be a stretch, 65 isn’t out of the question.